What fairly describe about East Java province, is coming from Surabaya. Surabaya is the official capital of the province, Surabaya is also the second largest city after Jakarta. Surabaya is known as The City Of Heroes, and such a metropolitan city. Surabaya is a multy-ethnic city, where there are numbers of ethnics and tribe inside, the growing industry is also increase, together with the increasing of tourism field. There are some section that divided the tourism in Surabaya, which is about the cultural, historical and modern site of tourism. 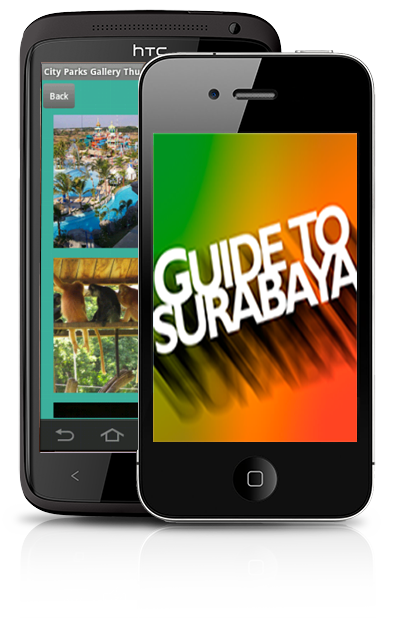 Guide To Surabaya application is your personal guide that privately drive the tourists who want to give visit to Surabaya. At this application, there are numbers of valuable information regarding the Surabaya tourism destinations, culinary, public services and other details info that completed by high resolution pictures. Before you get you backpacking bag, check the detail information about Surabaya here in your hand.